How would you describe the newest and most exciting addition to the Las Vegas Strip? Picture a driving range meets a cocktail lounge meets a restaurant meets – well let’s just say this place is excitement on every level. 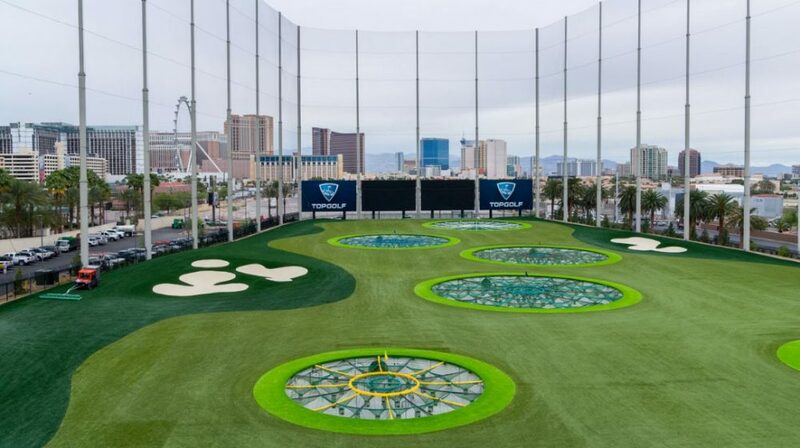 Allow me to introduce the hottest new concept of the Vegas scene: Topgolf! Topgolf is a premier golf entertainment complex. And I want you to stop right there. I know what you’re thinking: meh, golf is just not for me. Well, let me tell you right now that there’s no long boring walks or insipid country club people here. 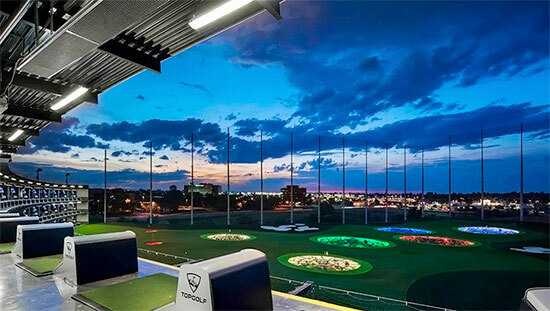 Topgolf is an innovative and entertaining spin on the traditional golf game. This is a a unique entertainment center, offering competitive golfing games for all ages and skill levels! The premise is simple: you take turns hitting golf balls from a hitting bay. And while the rush of swinging for the fences might be enough for most, this is more than just a glorified driving range! This is a four-level, state of the art, 105,000-square-foot complex. The structure has 108 climate-controlled hitting bays and overlooks a 215-yard outfield. You can get excited now. But wait, it gets better. The outfield is dotted with dartboard-like targets in the ground. 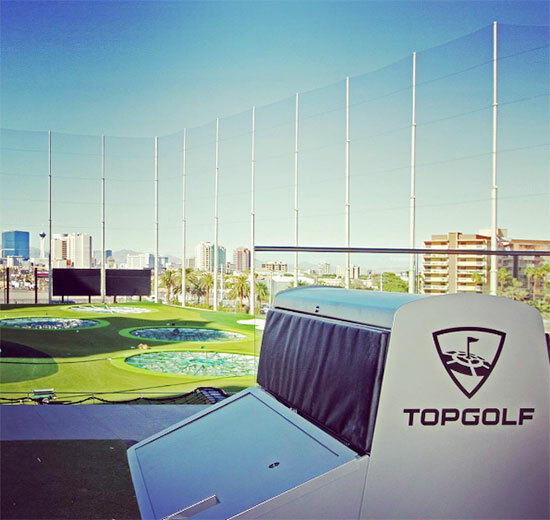 At Topgolf, the goal is to hit each golf ball as close to the center of each target. All of the balls have a RFID chip that tracks how far you hit it and how close you get to the target. Scores are computed based on distance and accuracy. A computer tallies up your scores and sends them directly to your bay screen. The days of keeping track of scores are gone. Topgolf is a high-energy, interactive sports and entertainment experience. And it doesn’t matter whether you’re a novice or a seasoned pro. Everybody can have fun here. Bring your family, friends or prospective date! 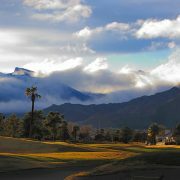 The upscale and laid back experience will make you forget about the hush and quiet of traditional golf. In fact, you can be as loud as you want to be! Yell. Cheer. Talk all the smack you want. It’s encouraged. But the entertainment doesn’t just stop at golf. The flagship location in the shadow of MGM boasts 5 bustling bars, an impressive food and beverage menu, two sparkling pools, music, games, hundreds of HDTV’s and even a concert space for live events. Whew! This is truly the epitome of entertainment. Each hitting bay is climate-controlled with cooling water misters for when the temperature hits the triple digits. They also have infrared heaters for when it gets chilly. The Topgolf staff, more affectionately known as Bay Hosts can take care of every beverage or nourishment need. 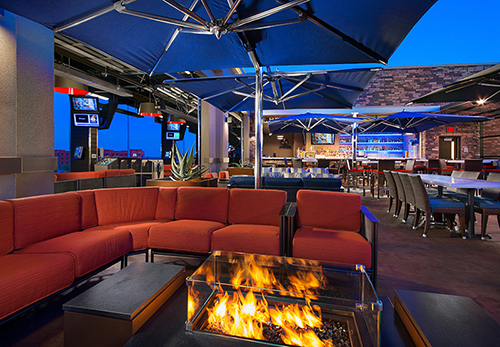 Topgolf Las Vegas has an Executive Chef dedicated to providing you with a delectable experience! challenges and will help you improve every aspect of your game! Golf clubs are free to rent. Topgolf has a wide selection of clubs for adults (men and women) and kids. They even have clubs for southpaws. And if you have your own, feel free to bring them along! If you find yourself addicted to the game, Topgolf has a series of classes designed to help intermediate to advanced golfers make advancements to their overall game. Professional trainers can help you focus on proper swing mechanics and technique. 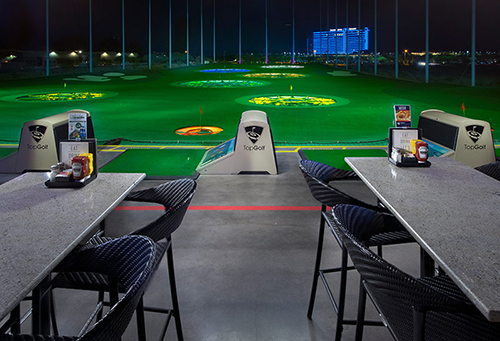 Topgolf is the boldest new concept in sports entertainment and set to revolutionize the way golf is played in Las Vegas. 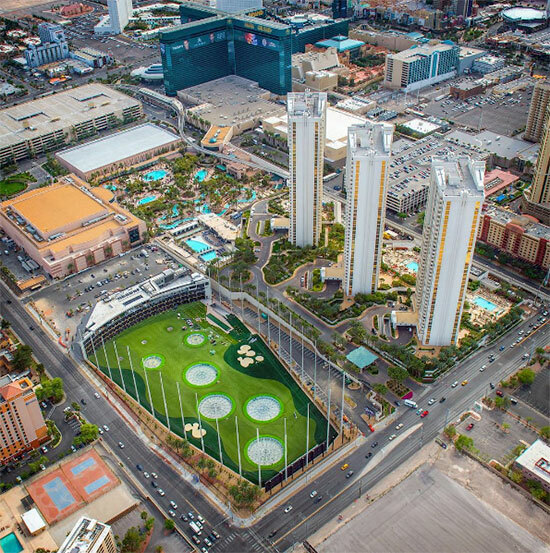 https://cityvipconcierge.com/wp-content/uploads/2016/05/topgolf-lasvegas.jpg 608 1085 steven https://cityvipconcierge.com/wp-content/uploads/2015/06/cityvip-logo-main3.png steven2016-05-30 10:22:582016-07-12 23:02:09Welcome to Topgolf!